Call us for any assistance! We have two locations to better serve you - Last Chance Gulch and McHugh/Custer. Our office is located at the Last Chance Gulch facility behind Northwestern Energy. We have used AAA Storage for a number of years. We have been very pleased with the convenient location, clean units, and security that the facility provides. They have meet our needs without fail. Affordable and easy to work with. Highly recommended. 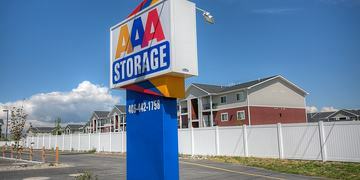 I have been associated with AAA Storage for several years now and have always found them to be very friendly and helpful. Their units are spacious, clean and affordable. I highly recommend AAA Storage!